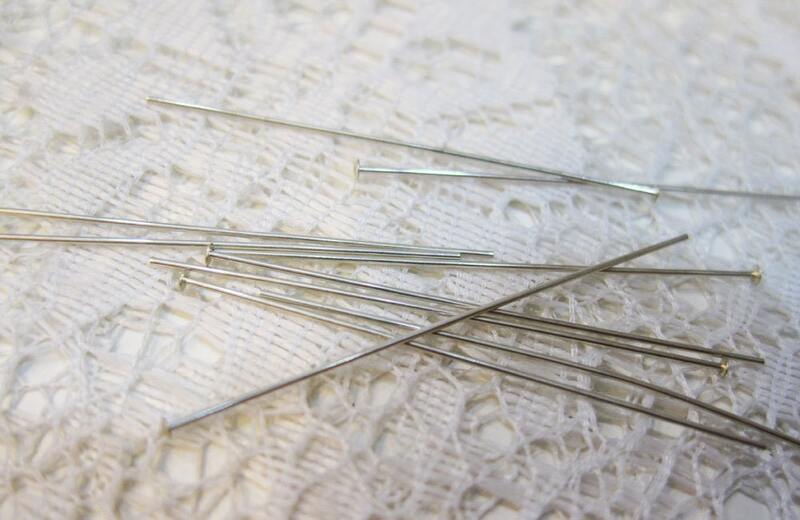 2" extra-thin head pins, 0.02" diameter wire (24 gauge/0.5mm). 1mm head. Clearance of these items so this is a great price. 30 head pins. You will also receive 30 sterling silver 2 inch eye pins, also 24 gauge as well as 20 sterling silver headpins that are 1-1/2 inches. Clearance on these items. New and never used. Just as described and shipped safe and fast!